Twenty five riders took part in the inaugural Jim Allen Challenge Run, which took place in fine Spring weather on April 23rd 2017. The challenge was to follow a complex and circuitous route using the route sheets provided. 110 miles of gnarley, nadgery roads through the glorious countryside of the North and South Downs and across the Weald of Surrey and West Sussex. Thanks are due to Gavin Shaw for his meticulous planning of the event. 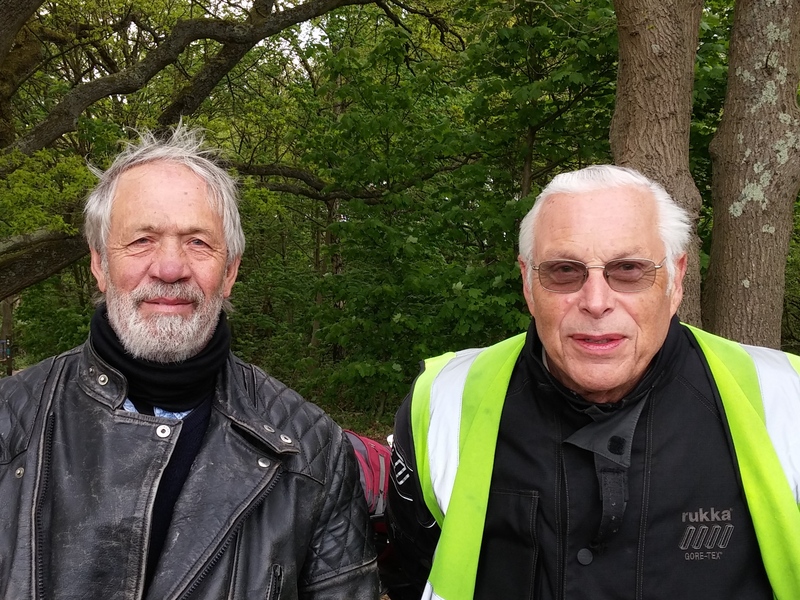 The Jim Allen Challenge Award was won by Jeff Read for following the entire route correctly on the oldest bike in the group, a 1929 Model 18 Norton. Most of the rest of us went wrong at some point or other! A great day out for all who took part and something to look forward to next year.